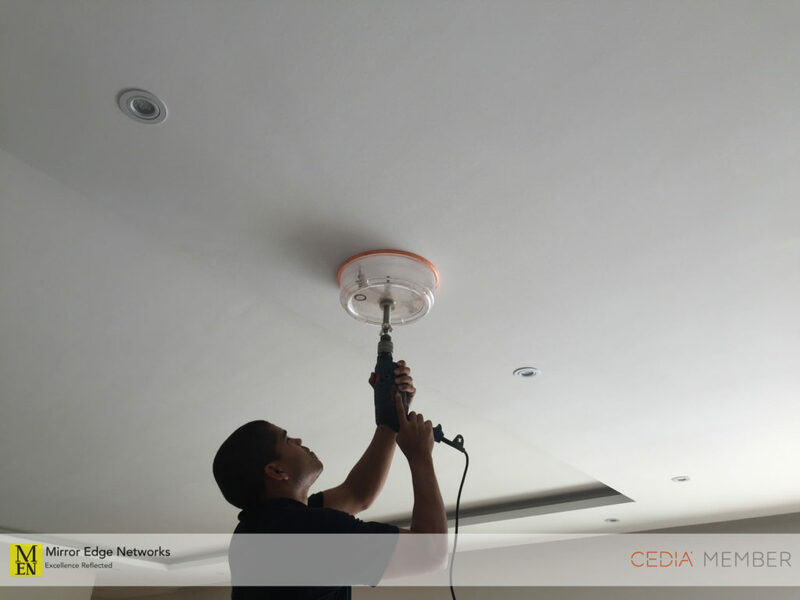 We are nearing the completion of our audio & video installation for a client of ours in Constantia. Today installation is the in-ceiling Artcoustic speakers. 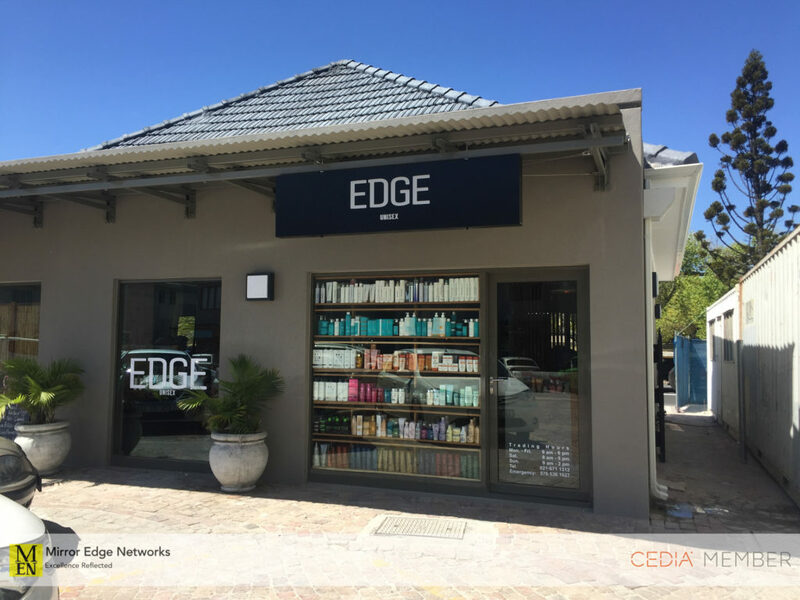 We have been appointed to carry out the installation of audio systems for various Edge For Men hair studios around the Cape Town area. 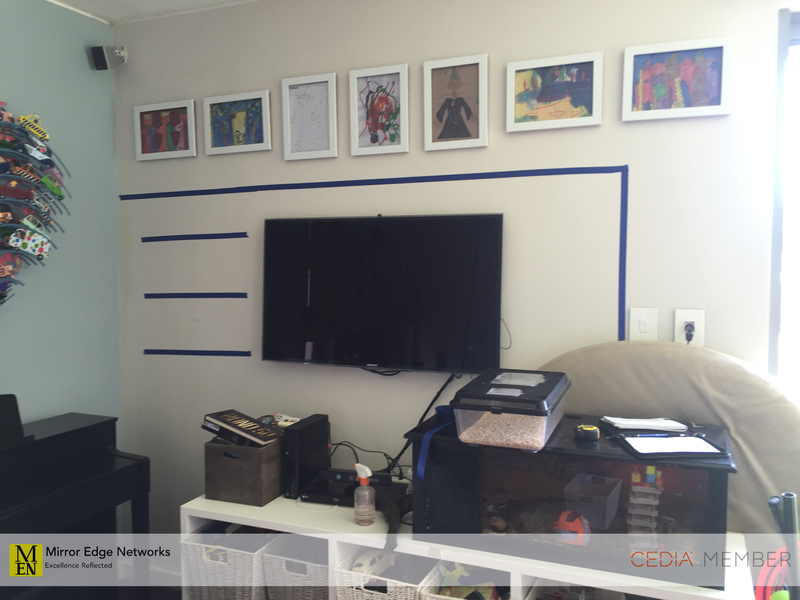 As you may know, some of our television installations require a little more special consideration. This could include completely designing a television unit for our installation. This installation is no different. We are frequently contacted to carry out installation of television units which we haven’t designed. 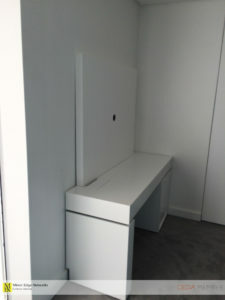 Even though this may not be a television unit that we have been involved with designing, we are more than happy to carry out these installations as it often helps us understand different installation requirements, as well as allowing us the opportunity to share our installation knowledge with new potential clients. This ODE floating television unit installation in Clifton is no different. We were asked to carry out the installation and setup of all the television furniture, as well as carry out the mounting of the television too. This way of carrying out the television installation makes sense as we are able to ensure that the television unit is capable of holding the television and there is no confusion about load bearing capacities of the television unit by anyone. 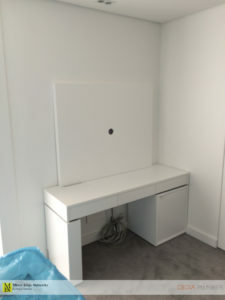 This is the installation location for the floating television unit. In one of the kids bedrooms downstairs in this Clifton Bungalow. 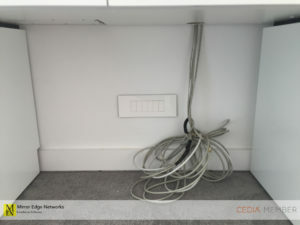 The CAT6 cable that has been installed will provide High Definition video signal over HDMI to the television from a centrally located video matrix with DSTV decoders. The assembly and setup of the ODE floating television unit is fairly quick and doesn’t require much in the way of tools, just an impact drill for mounting the television backing panel to the wall, as well as a cordless drill to screw all the furniture elements together. 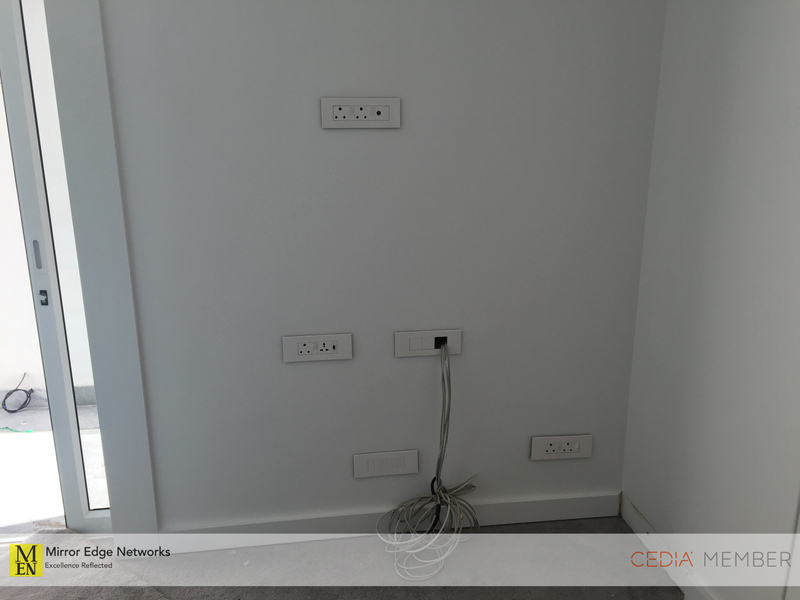 Once we have completed the installation of the floating television unit and its separate floor standing elements we pull out the CAT6 cabling that will be used for the high definition video distribution by the television installer that has been appointed for this television installation. 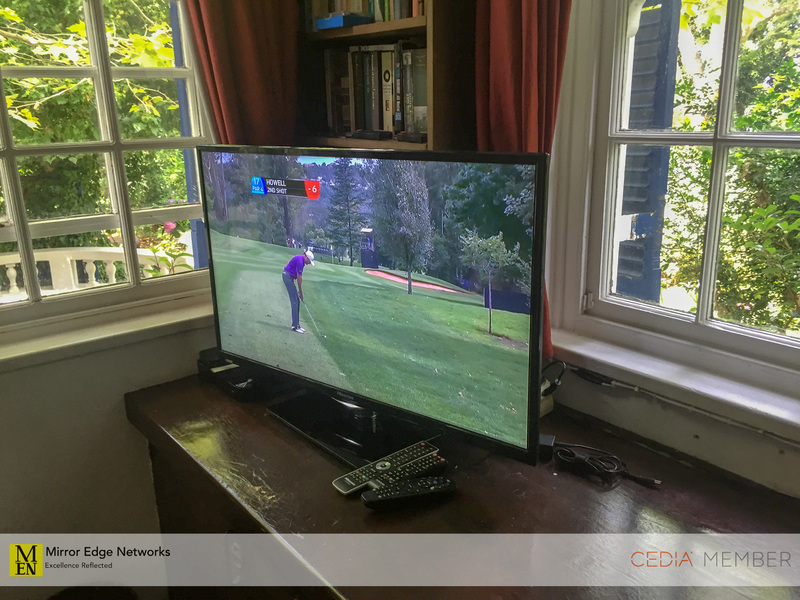 The completed television unit installation with the 40″ television. This is a clean, neat installation that caters for all the required cabling to be hidden away. 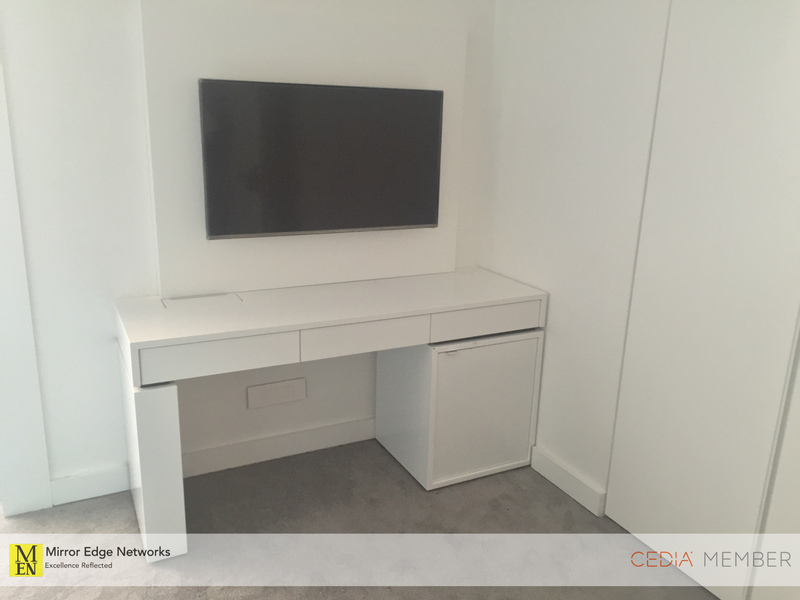 It was a pleasure to carry out this installation, for similar designs feel free to get in contact so that we can best understand your television unit installation requirements.